Isa developed Depth Hypnosis to help individuals find their own way to lasting balance. Isa holds degrees and certificates in transpersonal psychology, cultural and linguistic anthropology, comparative religion, hypnotherapy, and transformational healing. She has spent over 30 years studying spiritual, therapeutic, and meditative techniques from around the world. 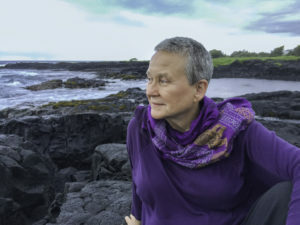 She has worked with master teachers of Buddhism, Christianity, Judaism and Sufism, as well as expert shamanic practitioners from the traditions of Hawaii, indigenous North and South America, Siberia, and Nepal. Isa is the creator of Depth Hypnosis, a groundbreaking therapeutic model that has won rave reviews from psychotherapeutic and spiritual counselors alike. She has published numerous articles, been featured in several documentaries, and she is widely quoted by healing professionals working in a diverse array of healing modalities. She is also the Founding Director of the Foundation of the Sacred Stream, a non-profit organization and resource center where she offers trainings in Depth Hypnosis, Applied Shamanism, Buddhist Psychology Studies, Integrated Energy Medicine, and Transpersonal Studies. Dr. Gucciardi speaks five languages, and has lived in 11 countries. In addition to directing the Foundation of the Sacred Stream and teaching many of its courses, she maintains an active Depth Hypnosis and Applied Shamanism healing practice in San Francisco. 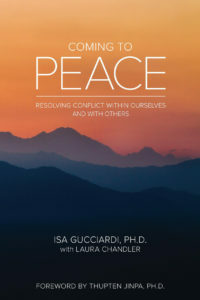 Isa Gucciardi, Ph.D. is the author of Coming to Peace: Resolving Conflict Within Ourselves and With Others. The conflict resolution method that is the focus of this book is an essential part of the Depth Hypnosis modality.